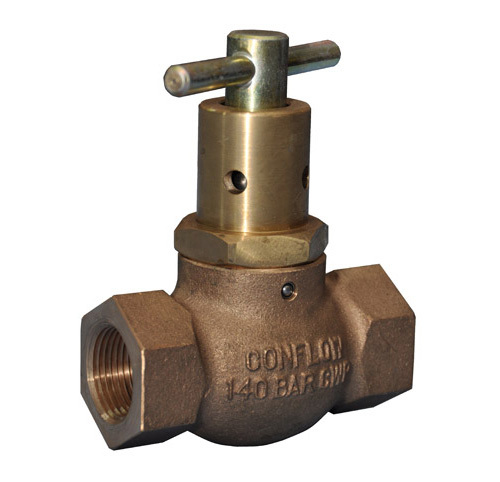 The Conflow Code 7 - Maxway Valve is an in-line valve that regulates and isolates fluid in pipelines and systems. The valve is a screw down type so adjusting the handwheel from closed to fully open can regulate the flow of fluid. The fully open position gives full flow capability thus creating little resistance in the pipeline. As well as the range of sizes, other type variations are available. One of these options is with a key fitting. This key replaces the handwheel and enables valve settings to be maintained and eliminates unauthorised interference. When the key is removed accidental impact will not alter the setting.